Chat rooms have evolved as a popular form of online communication. Many people use them to cultivate relationships with those who have similar interests or discuss their favorite topics in real time. Java Chat Rooms: Java is a popular format for chatting in real time. This website includes rooms for teens and singles, as well as chat rooms just for people over the age of 18. Paltalk: Paltalk boasts over 5,000 free chat rooms on practically every subject you could think of. They also have a mobile app if you want to join in on the conversation from your smartphone. USA Chat Now: There are three different rooms on this site: one for people who wish to voice chat, one for people who wish to video chat and another for people who prefer the traditional text-based chatting style. Wire Club: This site features chat rooms for individuals interested in politics, travel, business, books, games, health, fashion, food, sports, animals and a host of other topics. Chat Avenue: Chatters can connect with one another to discuss sports, video games or music. Pet Passions: Pet lovers from varying backgrounds can connect on this chat platform. Fine Art America: Artists can use this medium as a chat room or a discussion board. 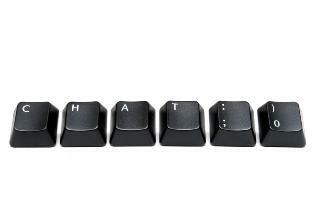 Chatterhead: This site is home to a plethora of special-interest chat rooms. Topics include Christianity, horoscopes, movies, health, sports and more. Planet Live Chat: This website includes a number of rooms dedicated to singles, drinkers, gamers and karaoke aficionados. If you enter the phrase 'chat room' into your favorite search engine, you will find thousands of free options. For most people, finding a place for chat is not as hard as finding a place for a specific subject or topic. To find a chat room that is right for you, you should begin by finding websites that interest you. Are you a big Harry Potter fan? Find a popular Harry Potter website and you will often find a good social room on the site, or a link to one. Not all rooms are the same. Different people with different personalities and interests may clash. Observe the conversation without saying anything or even being visible before joining-in. This way, you can get to know the chatters and grasp the culture and etiquette of the online community without joining the conversation. When chatting with others, be sure to take the proper precautions to stay safe. Never reveal your real name, your email, home address or phone number. If you feel threatened or uncomfortable, immediately leave the conversation. Furthermore, you can always report inappropriate behavior to a chat moderator or email the chat host should any further problems arise.